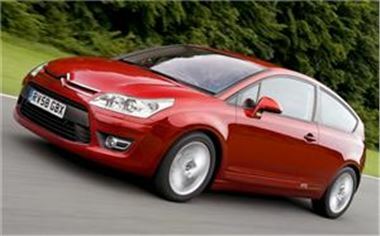 Drivers keen to cut their carbon footprint in 2009 may find buying a car from Citroen can help them achieve their goal. The manufacturer has announced the arrival of its cleanest ever C3 and C4 models. It stated the Airdream+ special edition versions of the cars are perfect for drivers keen to reduce their impact on the environment. Figures from Citroen show the C3 model emits 115 g/km of CO2, while the C4 releases 117 g/km. Car buyers keen to reduce their motoring costs may also be pleased to hear the vehicles are capable of 64.2 mpg. The C3 can be picked up for £10,995, while the C4 is priced from £13,895. Citroen also announced buyers do not need a deposit and can get three years' zero per cent finance. Meanwhile, the manufacturer recently announced its revised C1 was on sale with an updated look, new trims, better fuel economy and lower CO2 emissions.